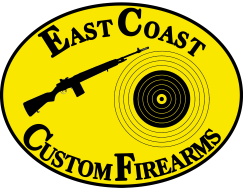 At East Coast Custom Firearms we pride ourselves on great service and reasonable prices. Our goal is to provide you with the knowledge and positive attitude to safely handle and use any firearm. We offer an NRA certified safety class that meets the requirements for the South Carolina Concealed Weapons Permit. We also offer a full line of refinishing and repair services by a certified gunsmith. We have a fully equipped shop as well as a Federal Firearms License so we can order you a new gun direct from any manufacturer at below retail prices. Please browse around and feel free to contact us for any questions you may have.